It all started as an idea to raise awareness of eye disease and increase patient visits to the eye doctor. Twenty-seven years later National Eye Exam month is going strong with thousands of ophthalmologists across the United States promoting eye health and safety to their patients. To do our part in raising awareness for eye health, we started a blog series exploring the four leading eye diseases. We began our series exploring how to lower you and your loved one’s risk of contracting Age-Related Macular Degeneration(AMD). This week our blog will explore the eye health topic of cataracts. According to the American Academy of Ophthalmology, more than 24.4 million Americans over the age of 40 suffer from cataracts. Furthermore, by the age of 75 nearly half of all Americans have cataracts. In addition, 42% of blindness worldwide is caused by cataracts. When you consider that nearly 2.1 million Americans over the age of 50 suffer from AMD, you can start to see how prevalent of an issue it is among our elderly loved ones. Now that you have an idea of the prevalence of cataracts, what are they? As defined by the National Eye Institute, a cataract is “a clouding of the lens that affects vision.” The ‘lens’ is the clear part of the eye that helps focus light on the retina. While cataracts can occur in either or both eyes, it cannot ‘spread’ from one eye to the other. Unfortunately, there are very few symptoms. Since they are not inherently painful, the only real symptom is gradual vision loss in the form of blurry vision, night blindness or glares. You or your elderly loved one will probably also notice that over time you will need stronger and stronger glasses. I have cataracts, now what do I do? 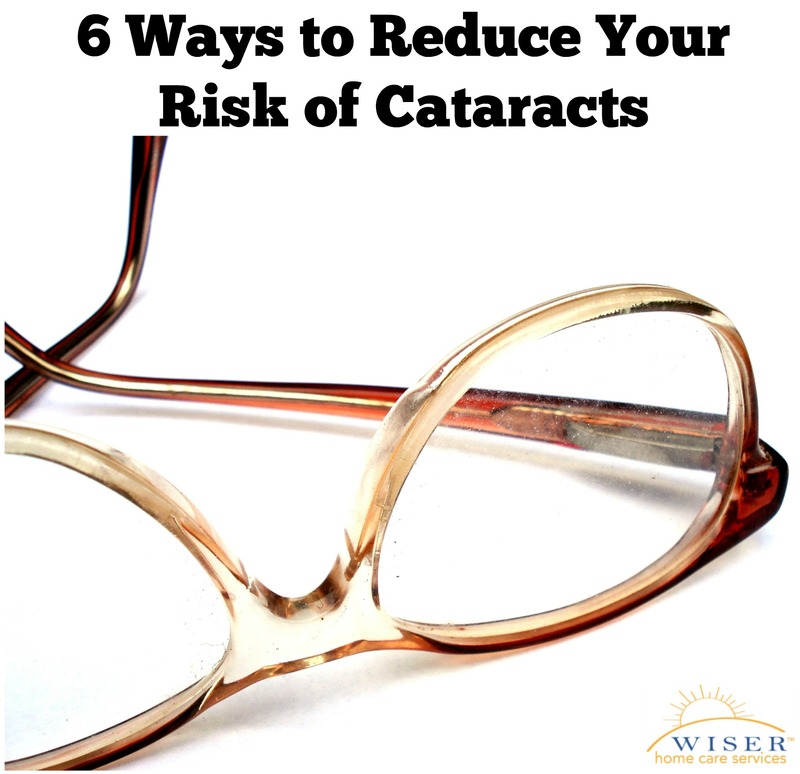 If the cataract is caught early on, your ophthalmologist will likely recommend a stronger pair of eyeglasses. These glasses generally help by reducing glare and magnifying the focus of your eyes. If glasses do not work, your vision loss starts to interfere with your daily activities or the cataract is preventing the examination or treatment of another eye problem then you will need surgery. During the surgery, the surgeon will remove the cloudy lens and replace it with an artificial one. If you care for an elderly loved one who suffers from cataracts and would like help caring for or developing an extensive care plan, we can help. We will be happy to answer any questions you may have.